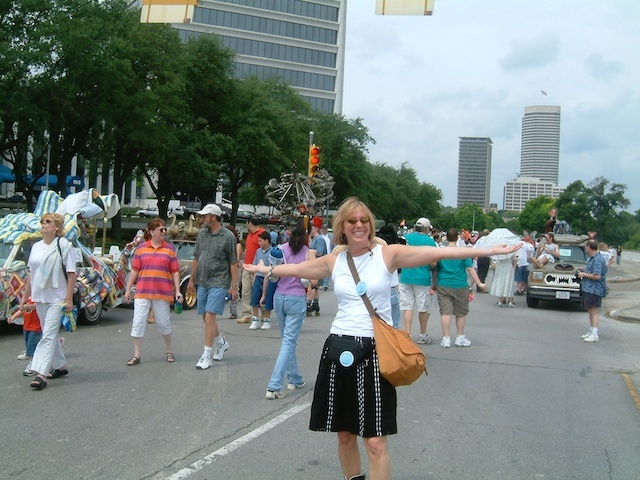 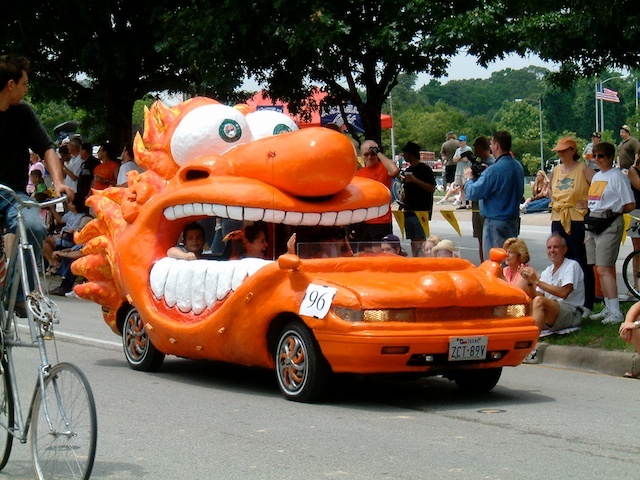 The Best Art Car Parade Ever courtesy of the Orange Show | Best Road Trip Ever! 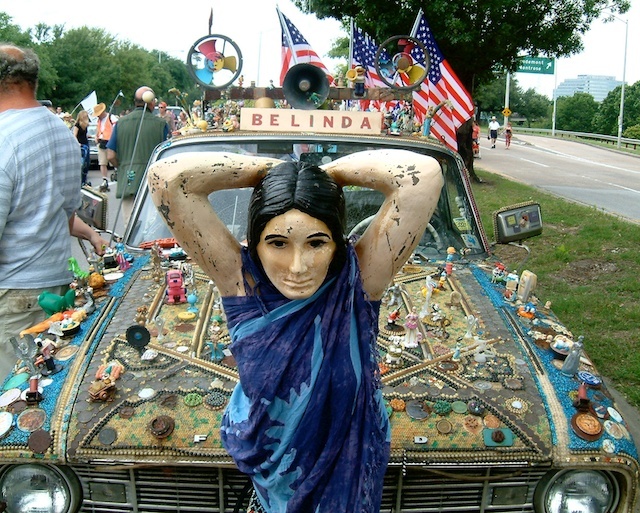 From vehicles like the beautiful Belinda, which was assembled by a team of electronics workers on their lunch breaks, to the Sashimi Tabernacle Choir and the Orange Barrel Mobile, the imagination and resourcefulness of Art Car builders is breathtakingly fun and funny. 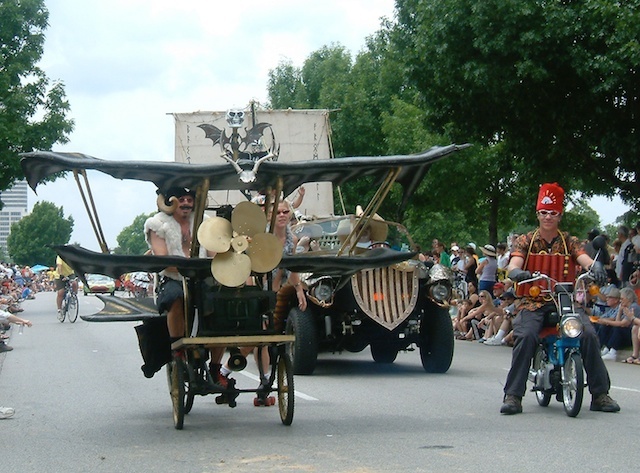 It’s a weekend-long affair with various activities in addition to the parade itself, which takes place along Van Allen Parkway. 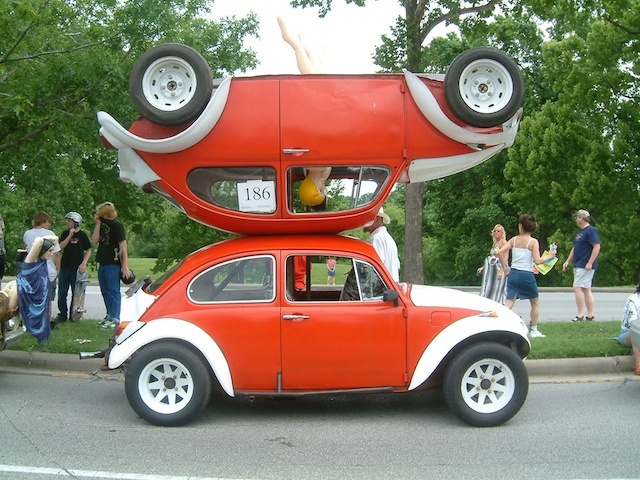 It used to roll in April, but in recent years has been moved to early May. 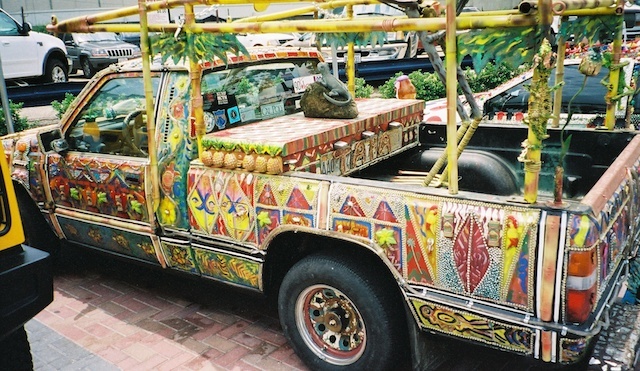 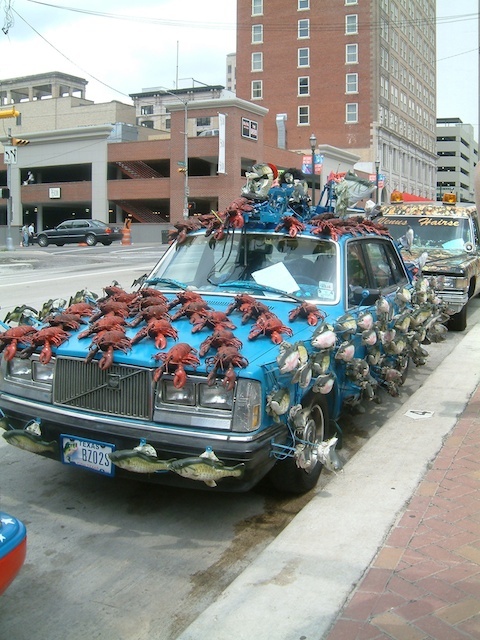 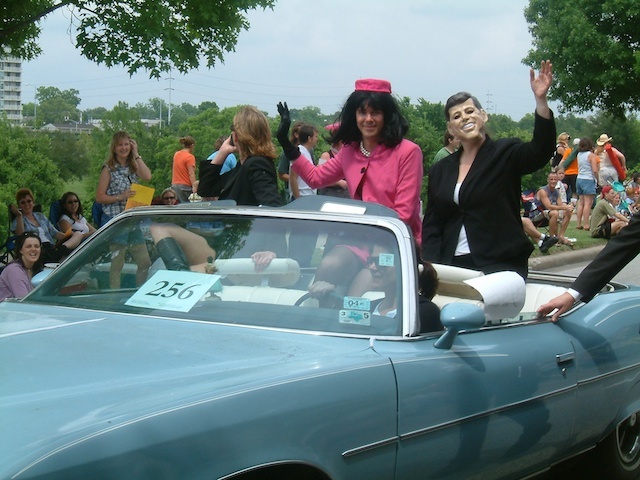 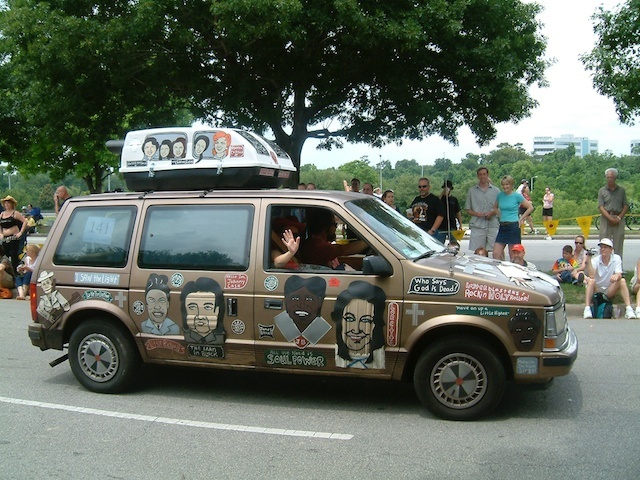 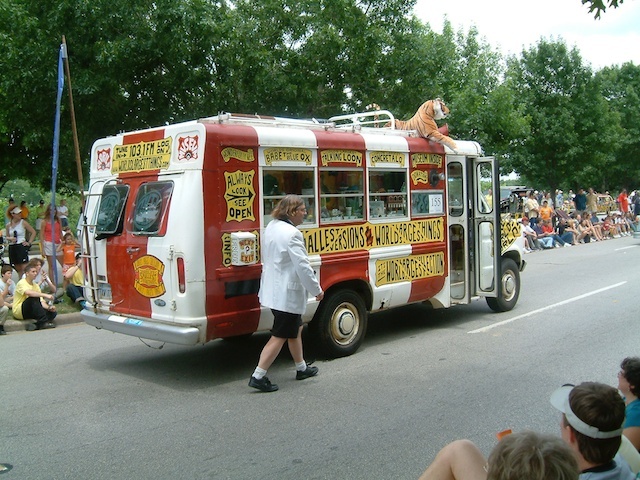 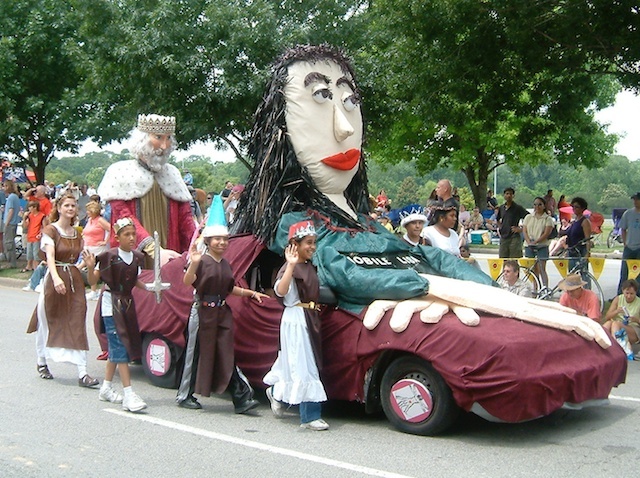 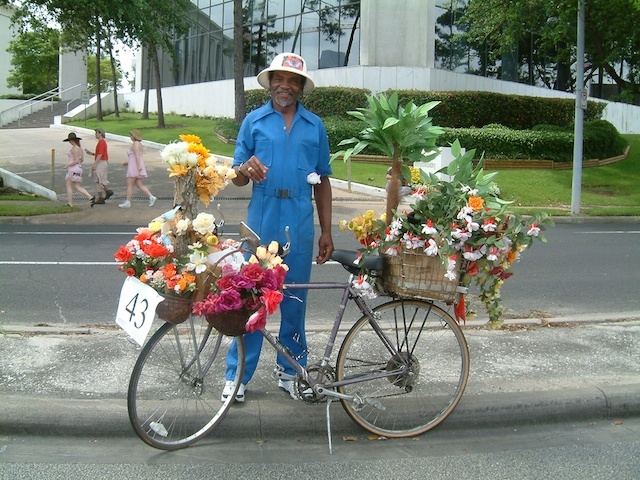 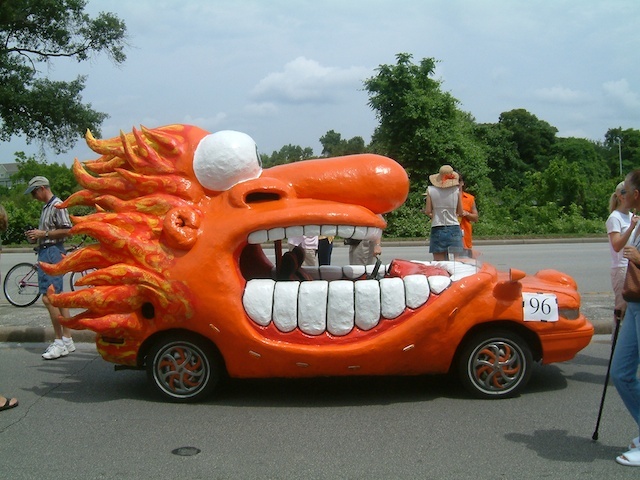 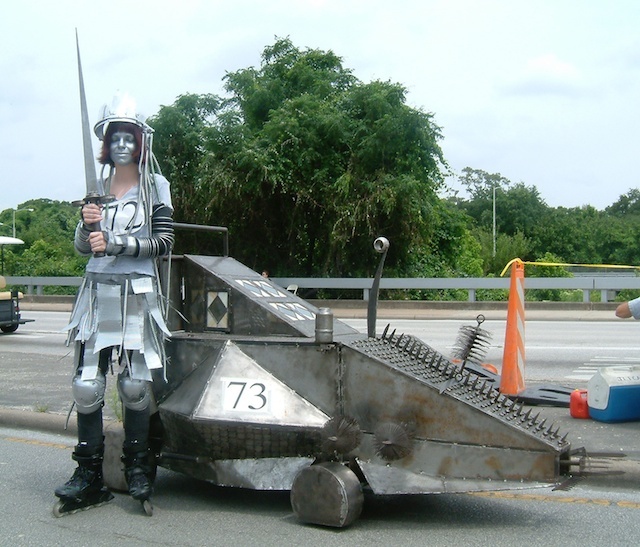 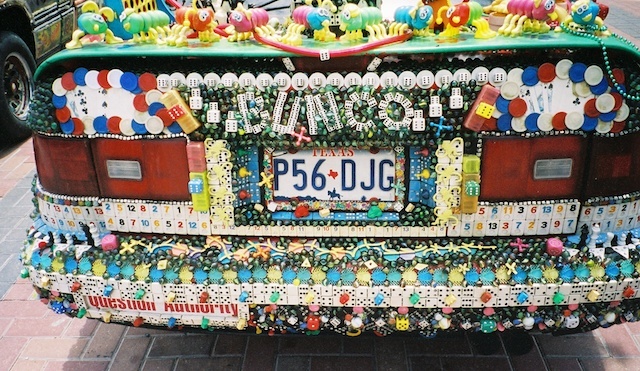 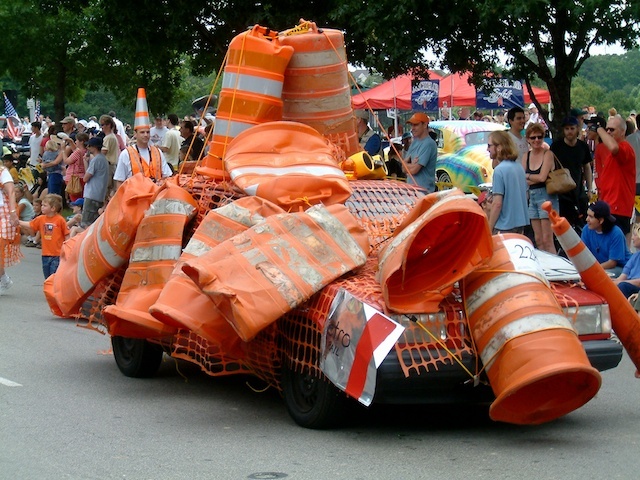 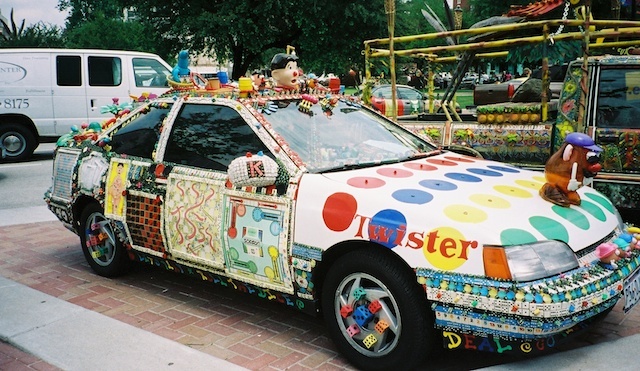 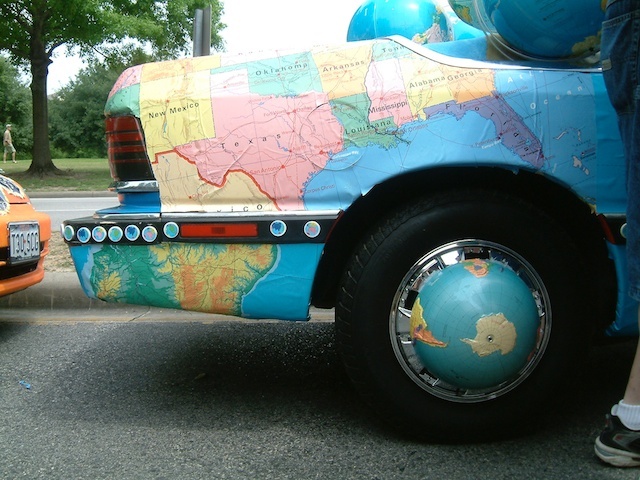 The Orange Show Foundation started its annual Art Car Parade as a way for idiosyncratic artists to express themselves. 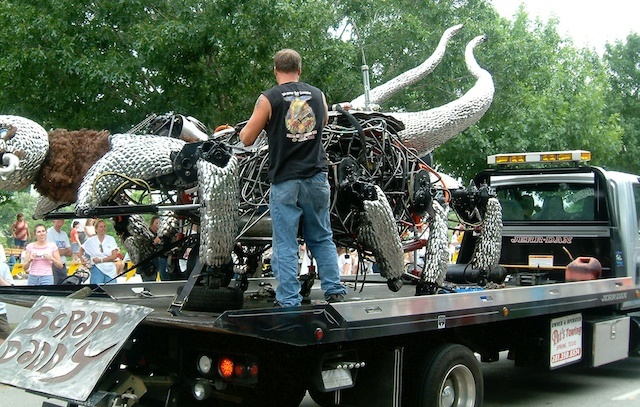 What they discovered was that lots of people, upon seeing what was being done, wanted to try it themselves. 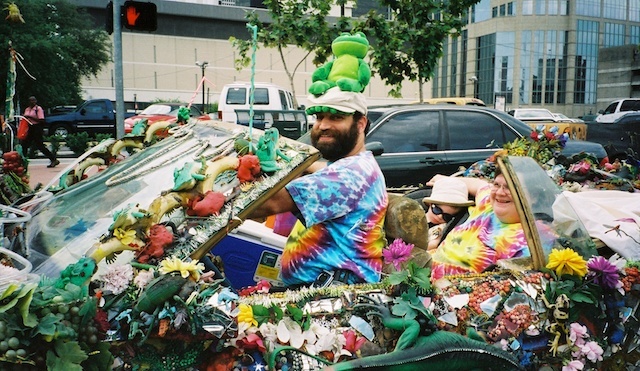 And so the Art Car Parade just keeps getting bigger and more spectacular. 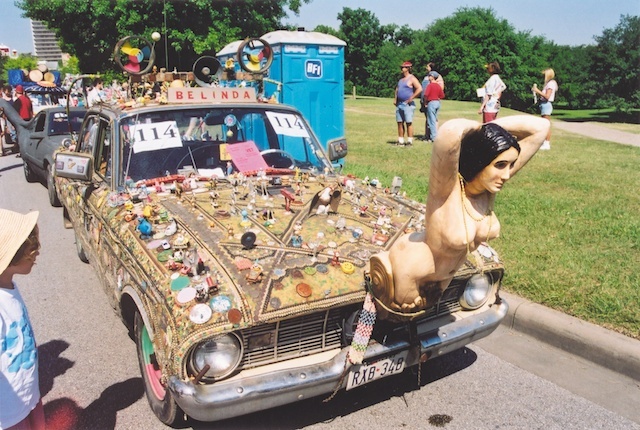 If you can’t make it to the parade itself, there’s also an Art Car Museum that’s open year round, with samples and examples to peruse.